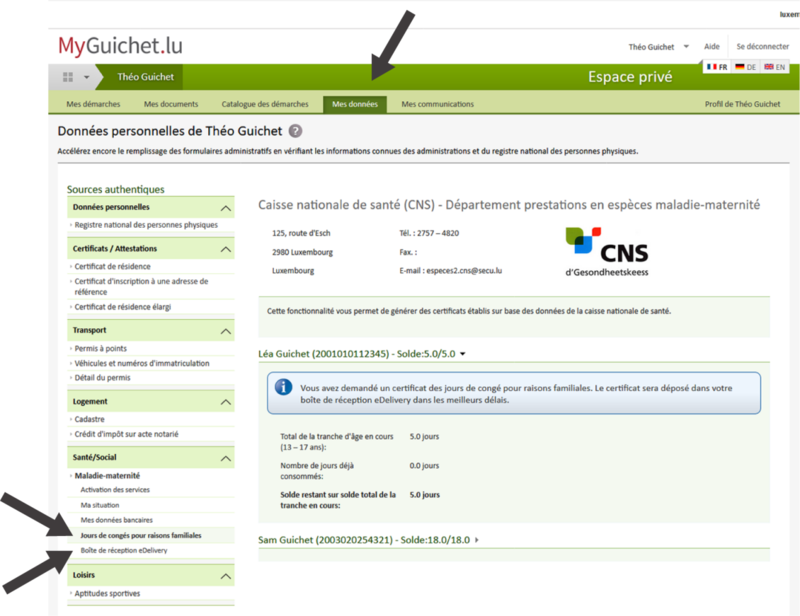 The balance of leave for family reasons can now be consulted 7/7 and 24/24 via MyGuichet.lu. A certificate providing this balance may also be requested. This CNS service is only one of the many already available through MyGuichet. The new family leave came into effect in early 2018. The system, which allowed parents to usually request up to 2 days of leave per calendar year to stay with their sick child under 15 years of age, has been replaced with a new mechanism as of 2018. The new system aims to give parents more flexibility when it comes to using these days and allows overall for more days to be taken off due to the sickness of their child. Furthermore, the age limit has been raised.